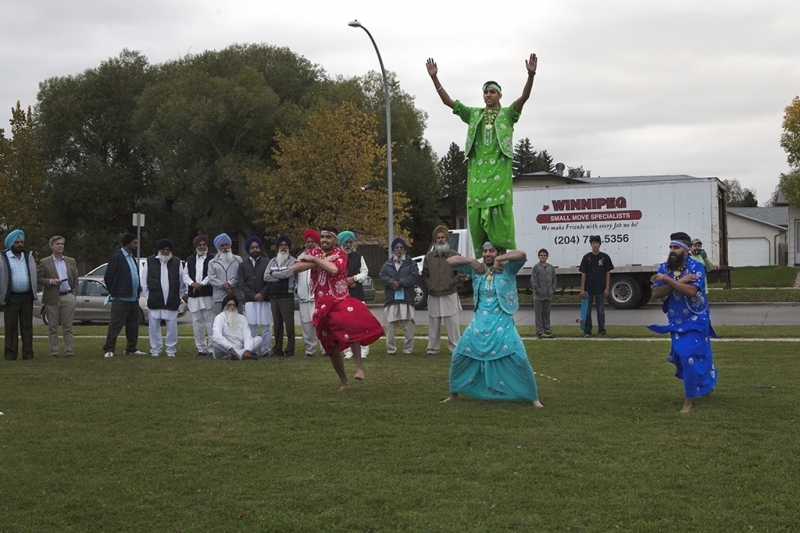 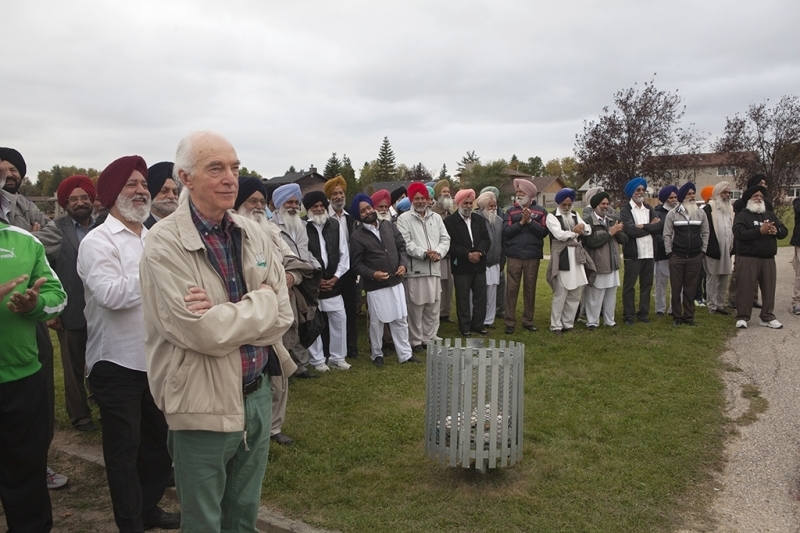 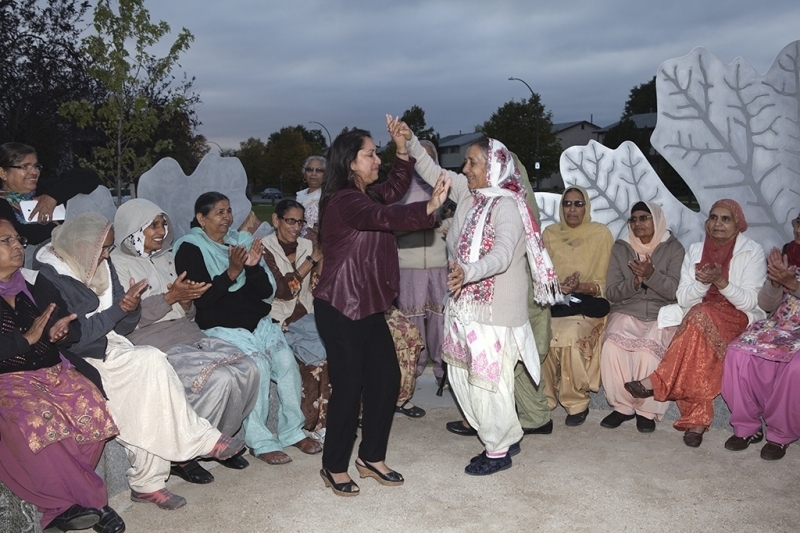 The Maples neighbourhood surrounding Adsum Park is home to a diverse community, including many newcomer families from South Asia. 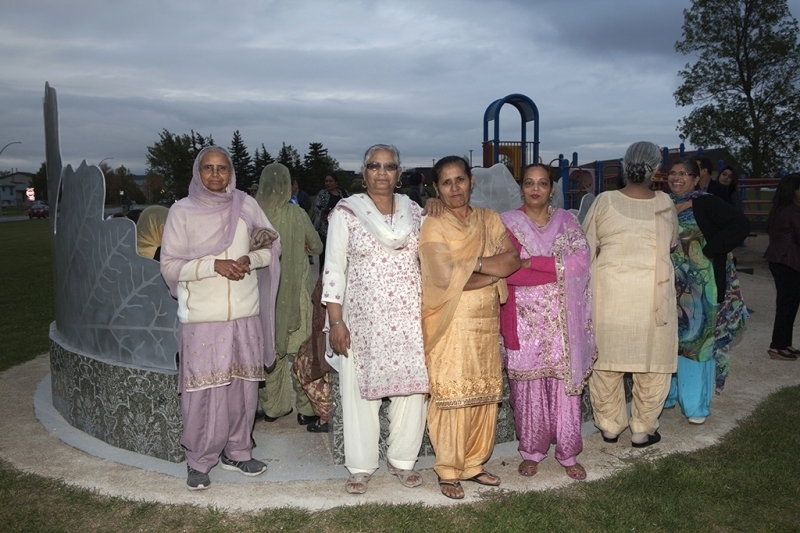 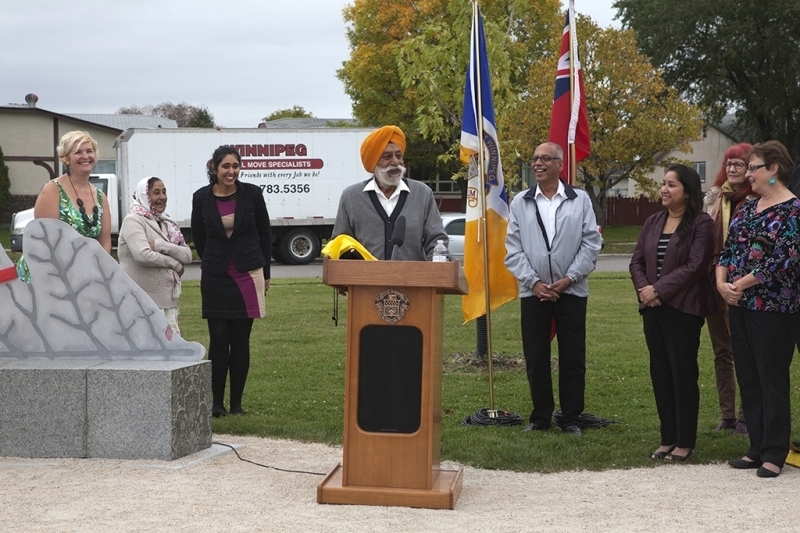 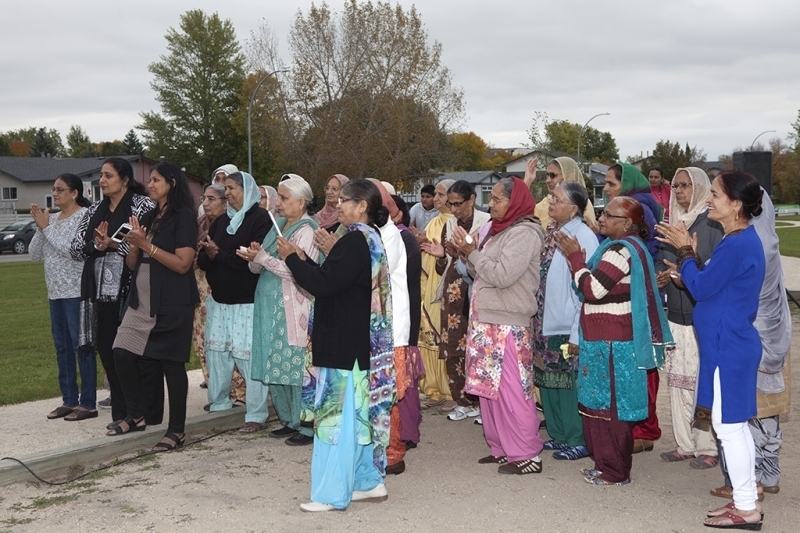 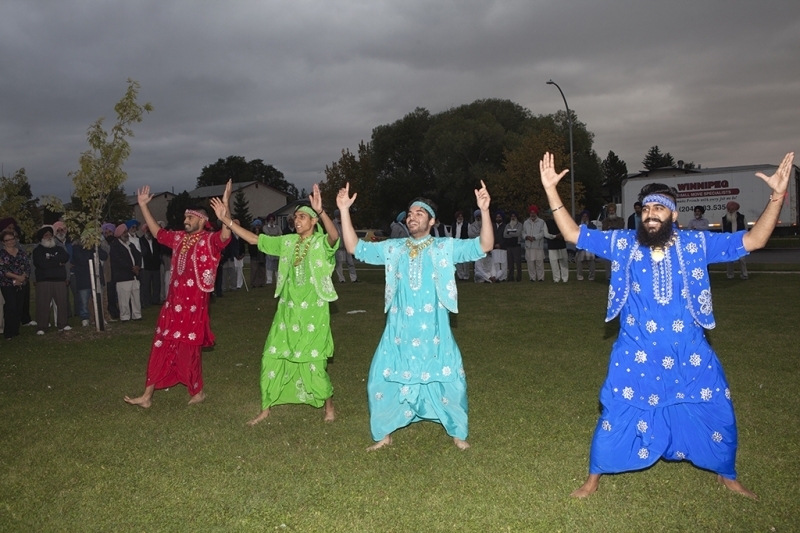 Winnipeg artist Gurpreet Sehra spent the summer of 2014 meeting with community members and conducting surveys in English, Punjabi and Tagalog to understand how the park is used and enjoyed. 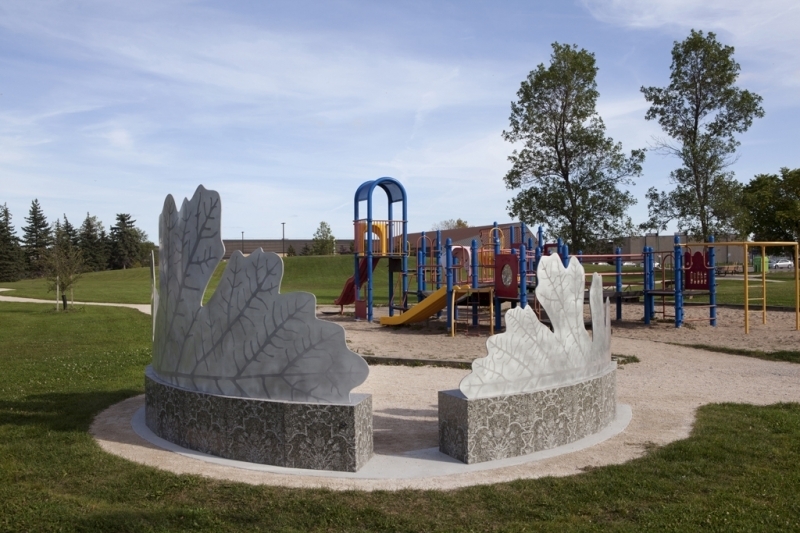 Close Commons was conceived in response to the community’s expressed need for additional outdoor gathering space, especially seating near the children’s playground in this community hub. 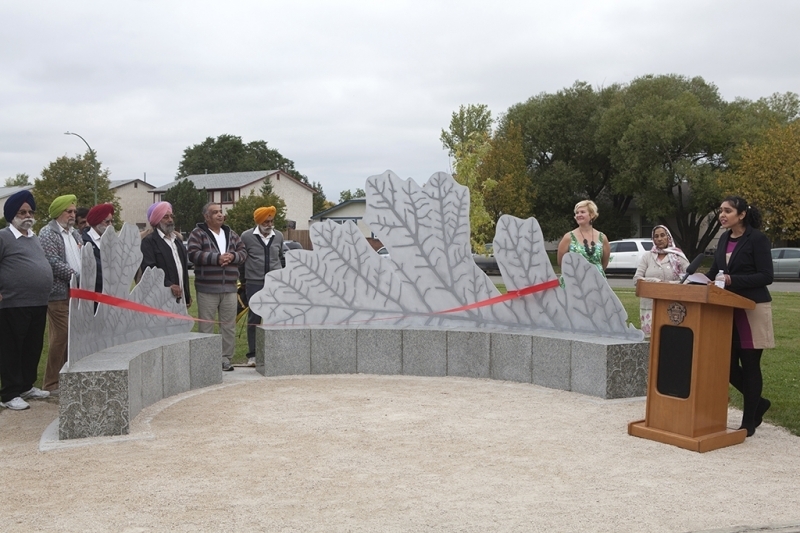 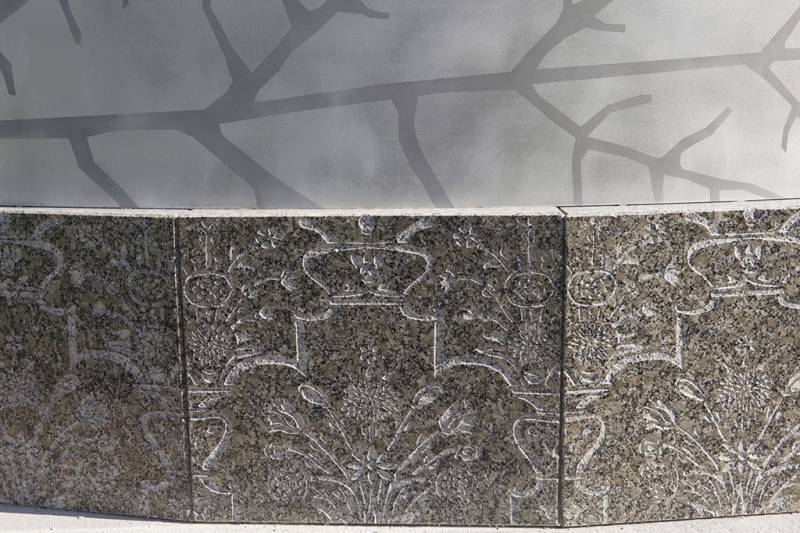 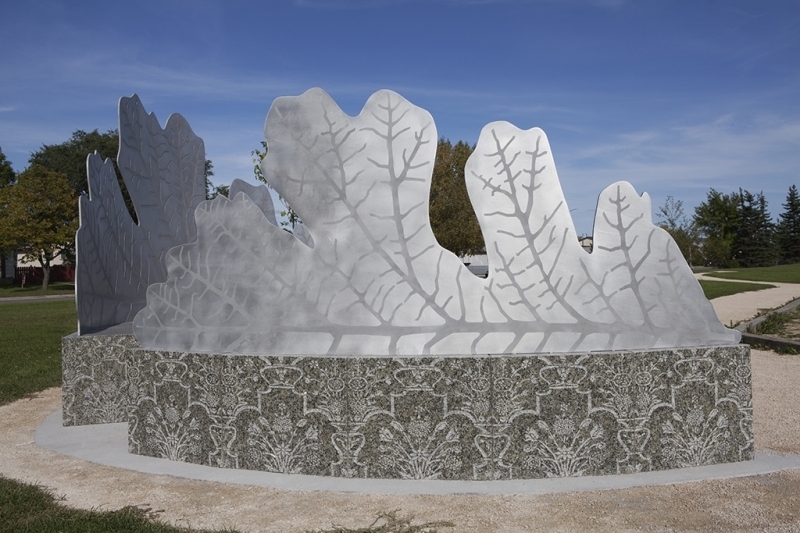 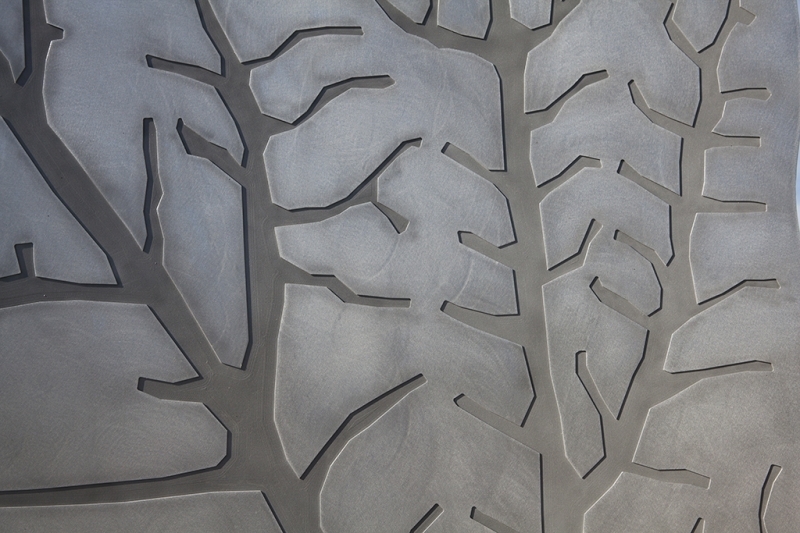 The functional artwork features two semi-circular granite benches carved with an intricate floral design inspired by Indian and Islamic architecture and textiles, and engraved aluminum backrests shaped like the bur oak leaf, which is indigenous to Manitoba. 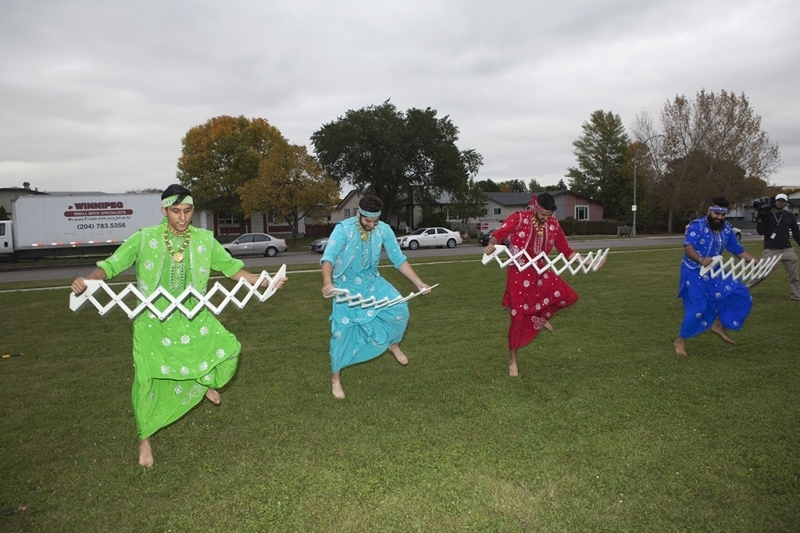 It is intended to reflect on newcomer experiences and make a connection between the idea of homeland and Winnipeg. 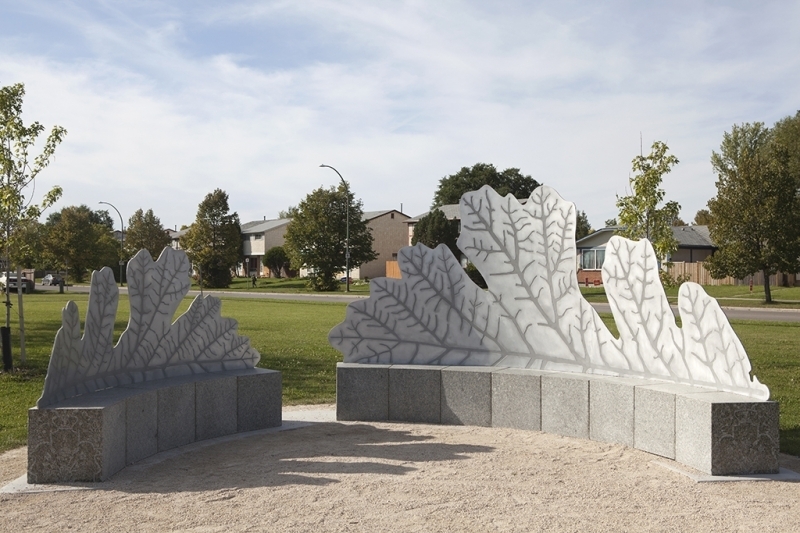 The artist chose the title Close Commons because the artwork is meant to belong to everyone in the close-knit and welcoming community where it is located. 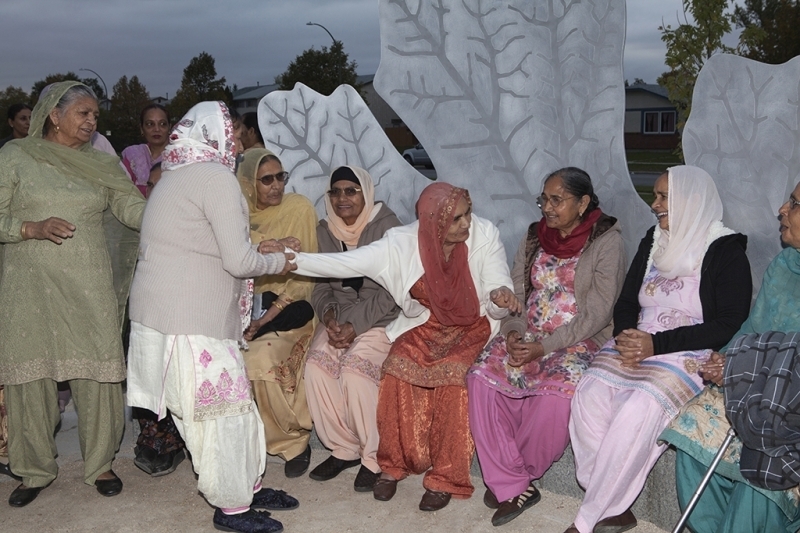 It speaks to how deeply the community cares for and values this public space, as demonstrated by the number of people who celebrated the official opening on September 24, 2015. 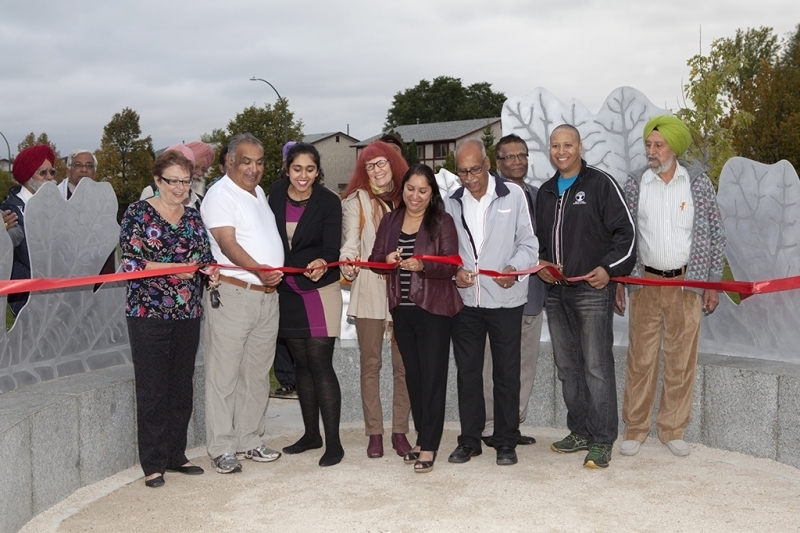 “The residents of this community deserve a beautiful public space, a space that reflects their community and is comfortable, functional and inviting to all families, individuals and groups of people. 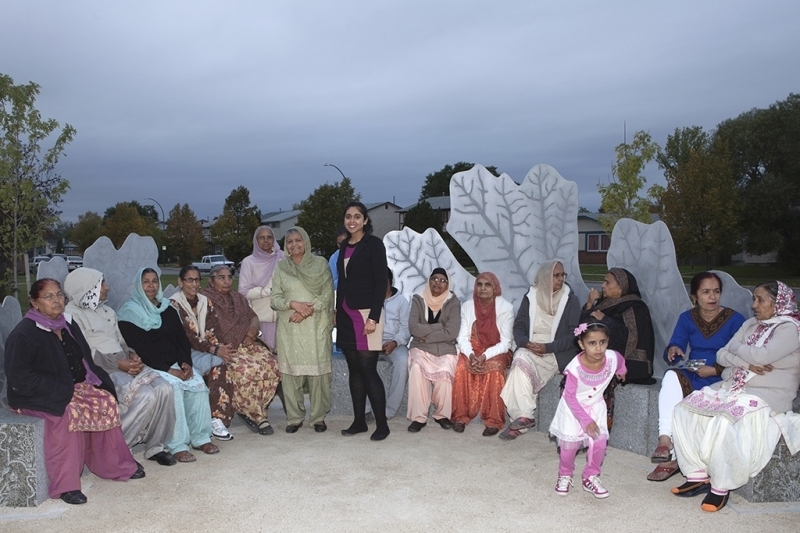 My hope is for the community to use and enjoy the new benches and space for many years to come.” Gurpreet Sehra, artist. 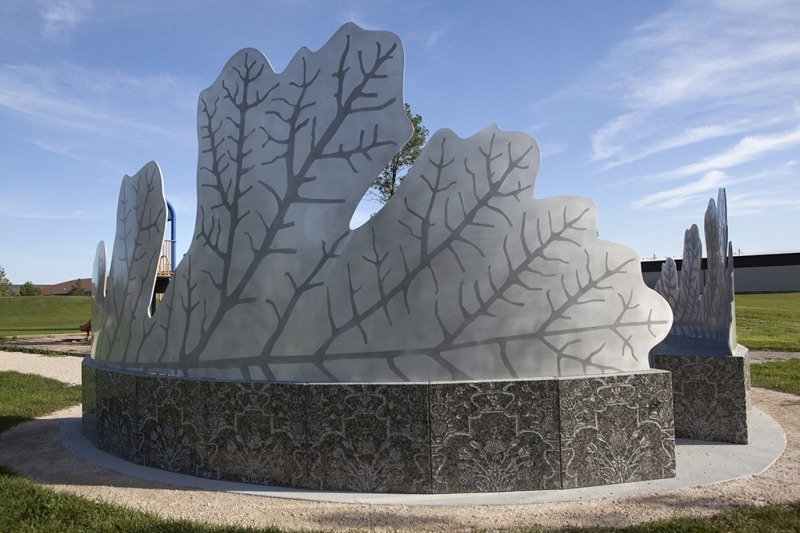 The artwork was commissioned through the Winnipeg Arts Council’s Public Art Program. 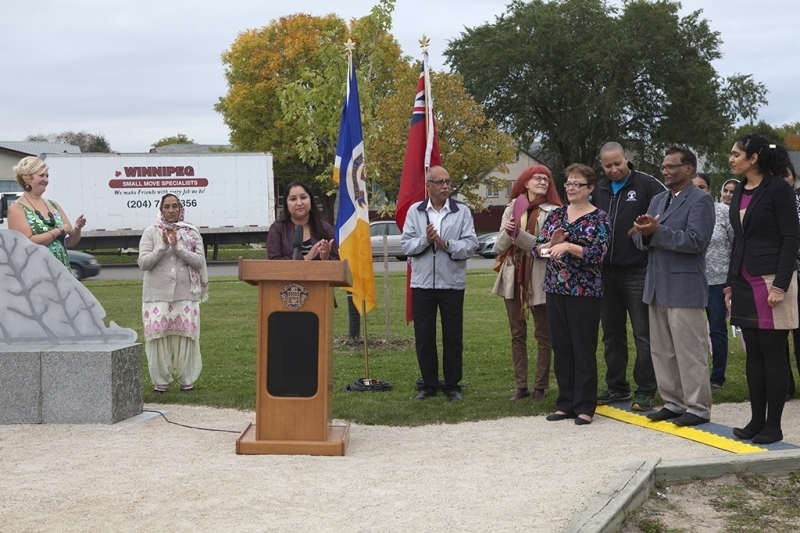 The project and site enhancements, including new trees and pathways received partnership funding from the City of Winnipeg and Province of Manitoba through the Building Communities Initiative II. 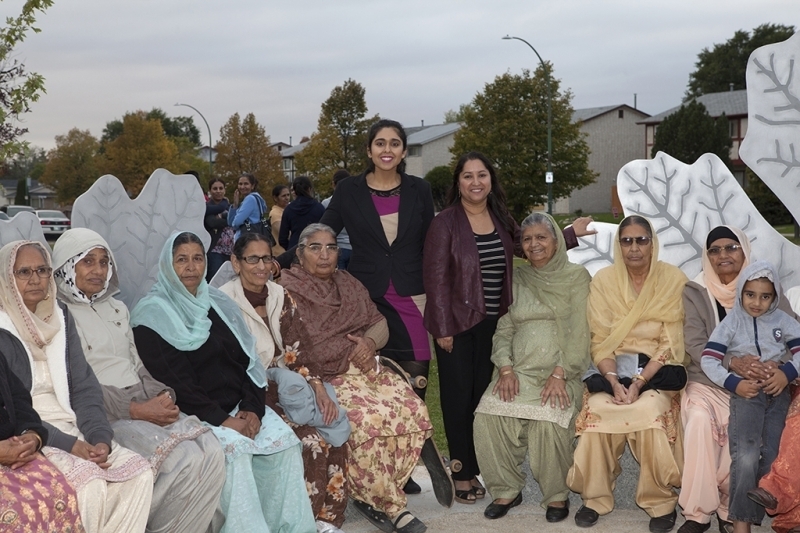 Project support was provided by Councillor Devi Sharma. 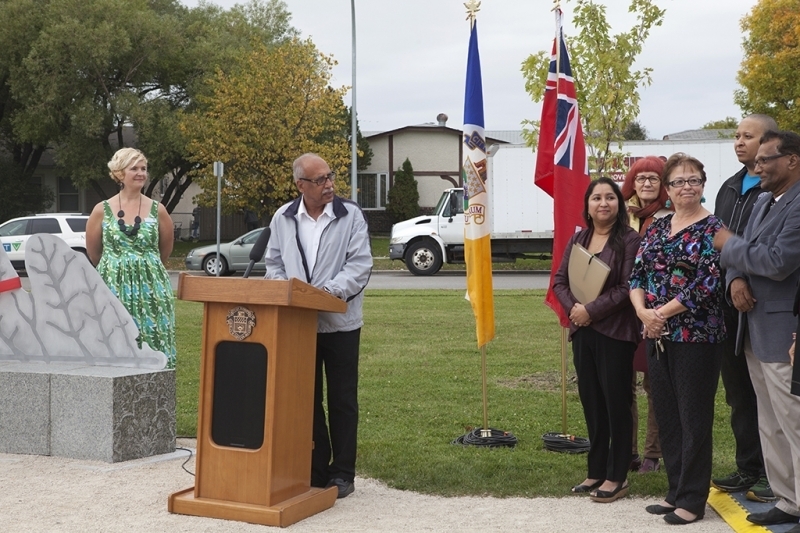 Landscape design and project management assistance was provided by Monica Giesbrecht and HTFC Planning & Design. 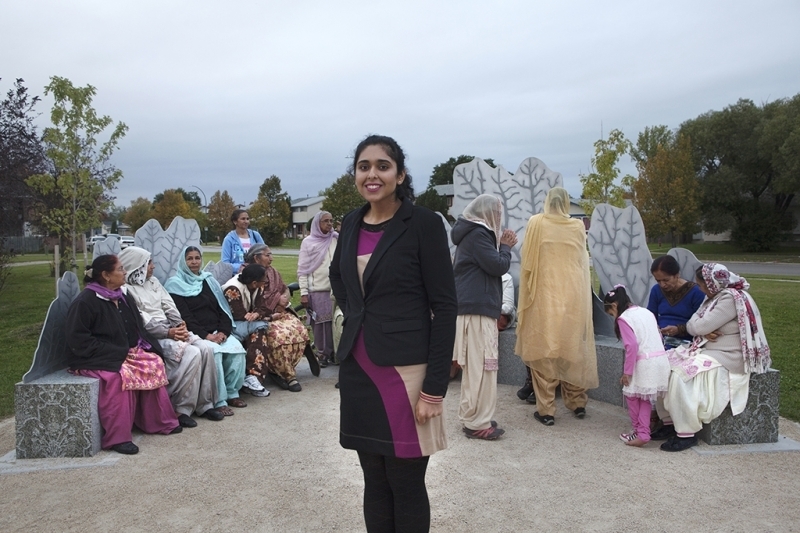 Gurpreet Sehra is a local multidisciplinary artist who works in traditional and non-traditional media: painting, printmaking, video and conceptual installation. 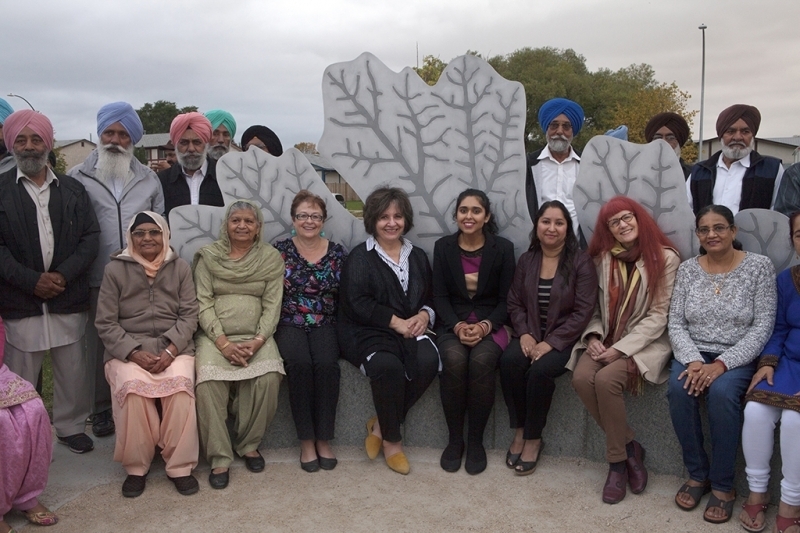 Through her work, she is interested in exploring conceptions of gender, as related to Sikh-Punjabi diasporic communities. 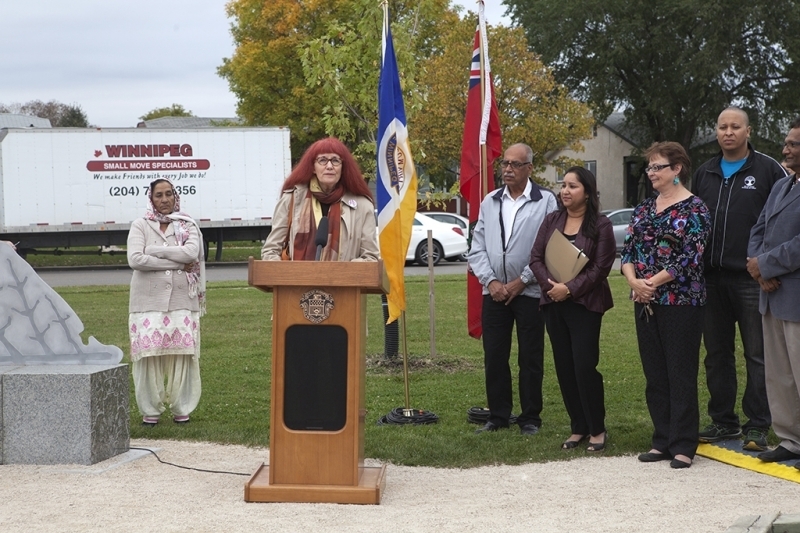 She was born and raised in the greater Toronto area and now calls Winnipeg home.